Mosquitoes can be a nuisance when trying to enjoy the outdoors, especially if you're trying to host guests. The faint buzzing reminds us of those pesky pricks we receive when we least expect it. Soon thereafter the itching and swelling begins as our bodies react to the foreign attack. 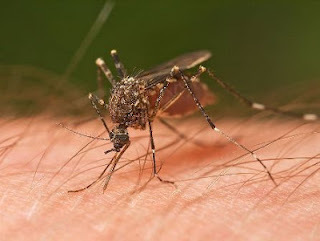 Sometimes deadly, the mosquito bite is more of a nuisance than anything. The itch and swelling can last anywhere from a couple of days to a few weeks. As with health, in order to avoid mosquito bites, we have to exercise prevention as a first step. This includes ridding our environment of many of the things that draw mosquitoes. Furthermore, rather than use some of the more commercial mosquito repellent varieties, which contain deet (a deadly neurotoxin), we should take advantage of the many safe alternatives that are easily available to us today. Mosquitoes are attracted to several things. If we can reduce or even eliminate some of these things, we can greatly reduce the incidences of mosquito bites. Carbon Dioxide/ Lactic Acid: When we have been exercising or working vigorously, our bodies give off more carbon dioxide. If we are planning on enjoying mornings or evenings outdoors, we need to ensure that we have ceased physical activity and that we have cooled down to lessen our attraction to mosquitoes. Furthermore, we may also burn candles or other sources of carbon dioxide to deter mosquitoes to those sources rather than to ourselves. When exercising, we release lactic acid, of which mosquitoes are also attracted. As a preventative measure, we can reduce salty or potassium rich foods in our diet, as they contribute to the release of lactic acid. Dark Clothing: Mosquitoes are highly attracted to dark clothing. Some will locate their hosts from a distance, using this technique. It is advised to wear light clothing when spending the evening outdoors. Fruity/ Flowery Fragrances: Yet another thing that attracts mosquitoes. Avoid wearing perfumes, body lotions, and sunscreens. We also need to be cognizant of our use of softeners and dryer sheets as they also lure mosquitoes. Moisture: When perspiring, mosquitoes are drawn not only to the chemicals that are released as a direct result of sweating, but also to the humidity around our body. Furthermore, mosquitoes are also attracted to water, like mud, or moist plants, and puddles of water which helps facilitate the growth of young mosquito larvae. Forget using commercial varieties of mosquito repellent. They not only affect our health, but they also leave a rather unpleasant scent on our skin. Fortunately, we can take advantage of numerous plant based oils - many of which do not require preparation. Many of these oils will need to be applied several times (every couple of hours) to be effective. Moreover, we will benefit from their pleasant aromas. Always ensure to mix and match the oils so that they deter mosquitoes much more effectively. 1. Limit the use of sunscreen as this reduces the effectiveness of repellents. 3. Re-apply repellents when exposed to wind and high temperatures because they can evaporate repellents. It is important to ensure that the "natural products we are using are made with 100% organic ingredients, as many conventional varieties produce products using plants that have been treated with pesticides. Furthermore, "natural" does not always mean safe. Essential oils are to be used sparingly - read the labels before applying. When in doubt, trusting our instincts will guide us in the right direction. Detox diets - helpful or harmful? Detox diets are getting more attention as a way for people to quickly lose weight and feel healthier. However, some people are concerned that detox diets and cleanses may be bad for you, or not work at all. What determines if a detox diet is good or bad for someone depends on what their goal is and what specific diet they are following. People with unrealistic goals or who do not follow diets that are well thought out are not likely to have good experiences. On the other hand, detoxing can be beneficial and lead to weight loss and improved health when done right. When most people think of detox diets, they think of fasting, or only drinking juice or a herbal formula. 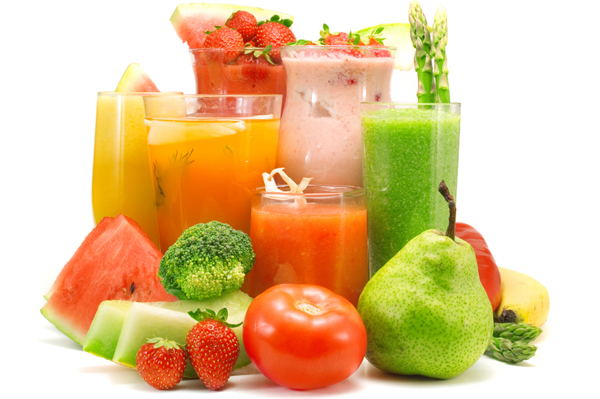 While there are some cleanses that do follow similar plans, not all detox diets forbid eating. The idea behind a detox is to get rid of toxins and contaminants in the body that build up over time. Many people believe that the chemicals, preservatives and additives that are found in many of the foods that we eat can have harmful effects over time, and they believe that cleanses help the body eliminate them. There are a variety of detox goals, and the type of cleanse that a person is going for will determine what their detox diet involves. For example, for people who want to improve their digestive systems, detox diets will involve eating only foods that promote digestion and are easy for the body to process. Some of these detox diets may require that people only drink juice, while other digestive detoxes involve eating lots of fiber rich foods to help clean out the colon. Another common cleanse is a fruit and vegetable diet. These diets are said to help get rid of toxins in the body since there are essentially none in fresh produce. Therefore, we can see that not all detox diets require people to fast; however, many people find that cutting certain foods out of their diet can help them feel better and kick start a diet. For example, most people who eat processed foods or foods with added sugar find that cutting those out of their diets improves their health and energy. Studies have also shown that many people who follow a gluten free diet see improvement in their digestion and overall health. These types of detoxes can help people lose weight and improve their energy levels by changing their eating habits. 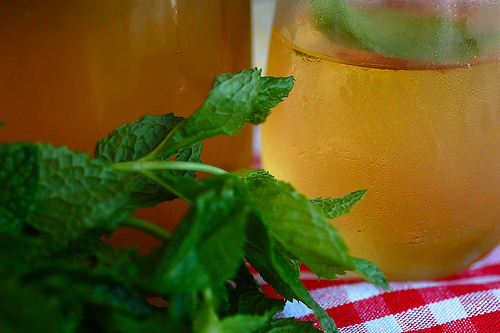 Even detox diets that involve only consuming fluids are not necessarily bad for people. Fasting has been around for centuries, and many people swear that fasting for a few days helps to clear their minds and improve their overall mental health. Still, even though there are a large number of people that promote fasting once or twice a year, there are very few people that recommend long term or frequent fasting. Overall, people who chose to follow detox diets with the goal of improving their health by cutting bad foods out of their diet find them to be very beneficial. Still, detox diets can be harmful if someone is simply trying to lose weight quickly and with no regard to their health. It is not good for people to completely cut food out of their diet for an extended period of time. Therefore, when looking at detox diets, it is important to consider both long term and short term effects. 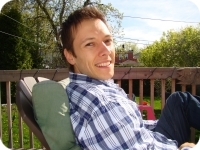 About the Author : Sam is a health and fitness writer who is commonly searching for healthier ways to live. He has tried many detox diets himself and is still looking for the right one for his fitness goals. Have you ever heard the saying "you have the power to make a difference"? Well, the following demonstrates how one person has proven this. Over 30 year ago, a young teenager by the name of Jadav "Molai" Payeng had an idea to turn a barren sandbar into a thriving oasis. With this vision in mind, he began planting seeds in this very same sandbar near his birth place of Assam India. Soon thereafter, Payeng moved to the area in pursuit of fulfilling his dream of one day creating a forest out of land that was left for waist. Over the next several years, Payeng spent many of his hours planting seeds, tending to the land and nurturing the growth. After 30 years of dedication, his hard work had finally been rewarded. Not only has Payeng successfully transformed an area that was once considered by many, including the forest department, to be unsuited for planting, but he actually created a 1,360 acre forest. Can you imagine that! The Times India recently sat down with Payeng to discover how his lifelong project had all started. "It all started way back in 1979 when floods washed a large number of snakes ashore on the sandbar. One day, after the waters had receded, Payeng , only 16 then, found the place dotted with the dead reptiles. That was the turning point of his life." Guided by instincts, and convinced by will and reason to pursue his goal, Payeng had created not only a forest, but an ecosystem covered with lush greenery which now houses several animal species, including numerous birds, deers, rhinos, tigers, and elephants. The once deserted sandbars of Assam India are now a thriving ecosystem all thanks to the selfless efforts of a young man. The area known today as the Molai woods is an example of compassion and dedication to all living things. 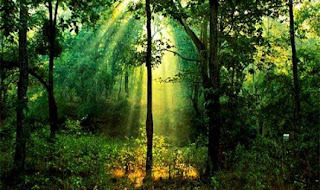 Jadav "Molai" Payeng is considered by many today as a hero, even by the local forestry officials. Our goals may not be accomplished immediately, but if we allow time to nurture our actions, they have the potential to grow, and even flourish into beautiful manifestations. Always remember that our actions, no matter how small they may appear, make a difference in the world. Never cease believing in yourself and one another.